The file Roads are Dangerous Tìžké v.0.8a is a modification for Kingdom Come: Deliverance, a(n) rpg game. Download for free. 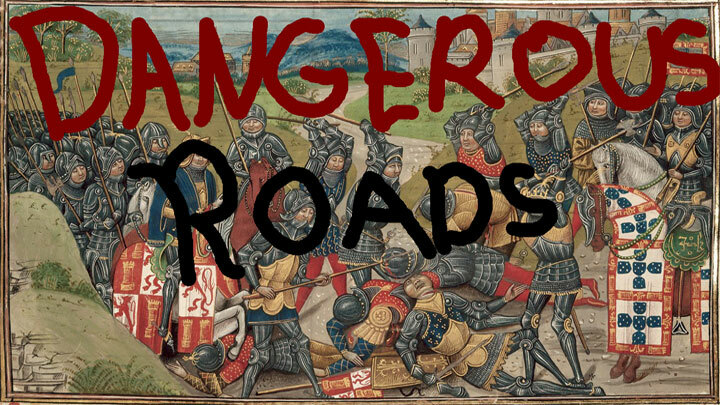 Roads are Dangerous Tìžké is a mod for Kingdom Come: Deliverance, created by Mugs. Guard Deserters - After the Skalitz attack many guards feared the same would happen in their cities and decided to desert and form a band of bandits. Berserkers - Big guys followed by their minions. They are tough and big, some superstitious folks say they have giant blood running in their veins. Merry Lads - A group of outlaws dressed as nobles that prey on the rich travelling the roads of Bohemia. They aren't very courageous when it comes to big threats and prefer to fight at distance using their bows (some don't even know how to fight with swords).